So, you want to break into stand-up comedy? First things first: there are no easy or clear-cut ways to automatically break into stand-up comedy. Like pretty much any creative endeavor, it requires a lot of hard work, focus, and perseverance. Especially perseverance. 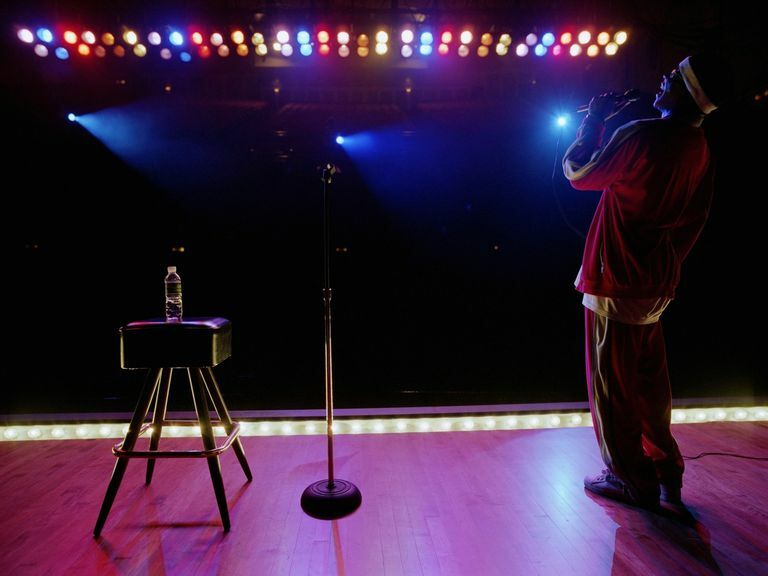 If you're willing to work and stick with it, being a working comedian offers a number of rewards: the opportunity to travel, job flexibility and the chance to make money doing something you love — making people laugh. Because you'll just be starting out, you won't be able to earn a living in comedy right away. That means either finding a steady stream of income (like a day job) or saving up enough money to live off of while you're getting started. You may even need to continue working once you start getting paid comedy gigs, if only because you might not be earning enough to pay the bills as an emcee or feature comic. Whatever job you do have, be sure it affords you enough time to continue working on your comedy. It's also a good idea to keep your evenings free so you can perform gigs, attend open mics or go see other comedians at the clubs. You'll want to absorb as much comedy as you can — especially in the beginning. Obviously, the most important part of starting out in comedy is having an act. Before you do anything else, you'll want to have at least 30 minutes of strong original material. You probably won't need that much for early gigs, but having a half hour can help you pick and choose from your best bits. Besides, you'd rather have too much material than to wind up on stage without enough to say. The biggest thing to remember is to be yourself — find your own voice and stick to what you find funny. Don't second guess yourself or try to predict what an audience will respond to; there will be plenty of time to tailor your act to an audience in the future. For now, figure out who you are as a comic. Do you have life experiences you want to draw from? Do you have something original to say about politics or pop culture? Are you capable or adept at physical comedy? While you should expose yourself to as many comedians as possible in the beginning, keep in mind that you want to be original. Be wary of copying other comics you see — not simply plagiarizing material, but also mimicking their styles or delivery. The world already has a Mitch Hedberg or a Chris Rock. You should bring something new to the table. There are several outlets where you could start outperforming parts of your 30-minute set. Before you take it live, try out material with friends, family — anyone who will listen. Hang out with other comedians and see if they have any suggestions. Comedy is a community, and many comedians should be willing to work with you or give you suggestions on how to improve your jokes. The most logical place to try your act out is likely an open mic. Those could be held anywhere, but are often found at bars, rock clubs, and coffee houses. You won't see any money from these, but they're a great place to workshop your set, network with other comics starting out and — most importantly — get invaluable experience performing in front of a crowd. Comedy is a live medium, and joke writing is only a portion of being a good stand-up; you've got to get timing and delivery down, and you can really only do that in a live setting. Open mics are great for that. Once you feel confident in your material and comfortable with your delivery, you may want to try and start booking gigs. You could try and get an agent, but you won't need one right away. What you will need is some sort of demo recording to shop around to clubs. You'll most likely start out at a comedy club as the emcee, introducing other acts and doing a short set. If you do well, the club might ask you to come back as a feature. Another comic on the bill might remember you, too, and ask you to be part of a future bill he or she is on. That's why you should always network — remember that comedy is a community. It's all part of working towards headlining your own show. Learn how to market yourself. Use the Internet, for starters — sites like MySpace and Facebook are good tools to network and advertise yourself (MySpace played a big part in launching Dane Cook to super stardom). If you're technologically savvy or know someone who is, you might consider having your own website, where you could include publicity information and even some of your comedy. Don't be afraid to sell yourself. Every comedian, at some point in his or her career, will bomb — that is, will tell jokes to a crowd that doesn't laugh at all. Maybe the comic's rhythm is off that night, or he or she is distracted. Maybe the audience is inattentive or just not feeling it. Even the best comics in the world have bombed at one time or another. You will too. It's not the end of the world. In fact, bombing can be a valuable learning experience. It can help you weed out material that isn't working — though you shouldn't give up on jokes after only one tepid reaction. It can also help you develop skills at "working" a room; getting an audience back after you — or a comic before you — is bombing is the mark of a skilled stand-up. Plus, bombing is probably the worst thing that can happen to you, comedically speaking. Once it happens and you see that it's no big deal, you'll see there's nothing to fear and get a new boost of confidence. Starting a career in comedy does not require that you become a professional stand-up. There are other ways to get involved in comedy that might be better suited to your interests or skill set. 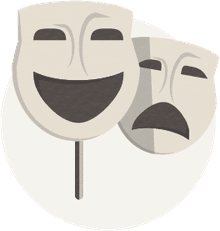 Theaters like Second City and Improv Olympic in Chicago, The Groundlings in LA or the Upright Citizens Brigade in New York and LA offer improv classes and put on regular improv and sketch shows. If you don't live near one of those or just want to do things yourself, you could always start your own sketch comedy troupe and find theaters or clubs to perform at. With new media outlets like YouTube, you might not even want to perform live. You could film your own sketch show and post clips of it online; that's how some successful sketch troupes — like MTV's Human Giant, for example — got their start.